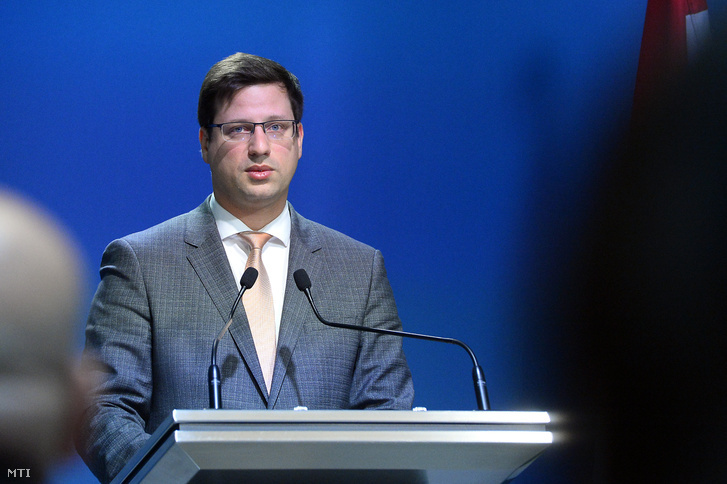 Chief of staff Gergely Gulyás announced today that if the European People's Party's political assembly suspends Fidesz at today's meeting, Fidesz will leave the group. Gulyás told the Hungarian state news agency that Fidesz can only afford to remain in the EPP if the group not only does not expel Fidesz, but does not even suspend its membership. He added that if the EPP sets up a committee of "three wise men" to decide about the expulsion, Fidesz is willing to voluntarily withdraw from the EPP's committees until they come to a decision. He said Fidesz would not be able to acknowledge a decision that suspends the party's membership, and if the group does make such a decision, Fidesz will immediately quit the European People's Party. "THIS IS ABOUT THE DIGNITY OF FIDESZ AND THE COUNTRY,"
Gulyás added, saying that Fidesz is unable to make a compromise that would restrict their freedoms and policies rejecting immigration. He reinforced what Prime Minister Viktor Orbán said in his speech on the national holiday last Friday by saying that the main priority of Fidesz is to defend "Christian Europe." Gulyás claimed that the Hungarian government has done everything within their power to conform to the demands of EPP's Spitzenkandidat, Manfred Weber. and he ensures that CEU can stay in Budapest. "as long as Fidesz does not completely restore the EPP's trust, they cannot remain full-fledged members." In the meantime, Jean-Claude Juncker, President of the European Commission nominated by the EPP whose appearance alongside George Soros on the Hungarian government's propaganda posters have prompted the ongoing feud within the People's Party, still insists on the expulsion of the Hungarian governing party.